Like a business, nonprofits can also use Salesforce to streamline workflows, benefitting both internal and external stakeholders alike. Nonprofits effectively using Salesforce manage donation cycles, analyze fundraising campaigns, generate detailed reporting, and any number of other processes. While the options the Salesforce Nonprofit Success Pack (NPSP) provides are plenty, there is a vibrant pool of integration tools that can help nonprofits get even more out of Salesforce. And in doing so, they are better positioned to overcome common industry challenges and to deliver more effectively on their mission.This blog will explore five categories of integration tools available to Salesforce for Nonprofits and provide multiple examples for each, so that you can do more and do better with your nonprofit organization, without necessarily needing more resources to do so. You can start to improve your use of Salesforce with integration tools, which are something that can be connected to or within an existing application. For example, WiseStamp is a tool that can be connected to your Gmail account so that any email signature you create in WiseStamp appears when you compose an email from the associated Gmail account. How will team members across multiple departments benefit? Will the integration tool be critical in bringing in more revenue? How will it help us serve our beneficiaries more effectively? Will the tool help us achieve our overall strategic objectives? Putting the tools in such a context demonstrate their value to internal stakeholders, likely improving adoption rate. Prioritization strategies also increase the chance that your investment in the integration tool will yield the returns -- from employee efficiency and morale to actual revenue -- that make it worthwhile. In order to dive into how nonprofits can get the most out of Salesforce, let’s first take a look at two of the greatest challenges faced by nonprofits, as reported by a Guidestar survey. Then we’ll see how Salesforce and some integration tools can be leveraged to address those obstacles. If you have worked in or around the nonprofit space, these are probably sounding familiar to you. While there is of course no silver bullet to solving these issues, integration tools that complement Salesforce can help smooth out this bumpy ride. Below are categories of integration tools that help bring your Salesforce utilization to a new level of efficiency and power. In this blog, we will explore the first three categories: Donor Management, Marketing & Automated Social Media, and Grant Management. A specific focus is given to how the tools address some of the above challenges related to nonprofit management and operations. In future blogs, we will dive deep into the last three Salesforce integration categories: Accounting, Beneficiary Data Management, and Impact Data. Remember the biggest challenge nonprofit professionals face? Finding the money to deliver on mission usually means finding and engaging donors. The following integrations can make that process both more efficient (good for under-resourced teams) and more effective (more funds for your cause!). A native application that, among other capacities, empowers nonprofits to implement peer-to-peer fundraising strategies and create donation pages from within the Salesforce platform. Built on the Salesforce platform Causeview makes fundraising more efficient. You can track campaigns, process payments, communicate with donors, and more in this all-encompassing integration tool. Sync DonorDrive’s popular fundraising software with Salesforce so that all your teams -- from engagement and communications, to development and programs -- can share in leveraging those data and progress in the manner that is most relevant each department’s function. Create leads from new MailChimp subscribers, build new lists in MailChimp with Salesforce field data, and much more. Available as a Salesforce app or a built-in integration. Available in the App Exchange, this integration doesn’t have a vast number of bells and whistles but allows for quick and easy updating or management of contacts across your Constant Contact and Salesforce platforms. One of the best features is the ability to have all email correspondence with a certain email contact (e.g. 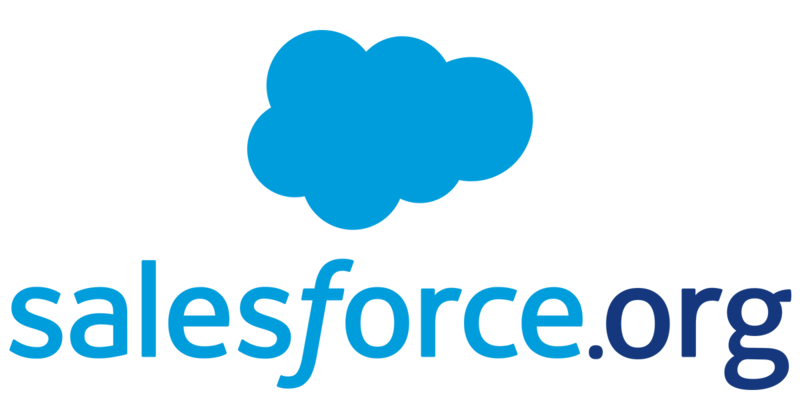 through Gmail) appear in your Salesforce database under that Contact’s profile. That way, team members across departments know where you stand with this individual or entity. Did you know that Millennials are three times more likely to become aware of “giving opportunities” through social media compared to Baby Boomers? Perhaps this isn’t too surprising, but considering Millennials are the largest generation (in the U.S.) there is an existing and growing need for a finely tuned social media strategy to engage their giving habits. If spreading the word is your challenge, these social media integrations could be the antidote to your lack of mindshare. This tool helps you in managing Facebook supporters, from streamlining communication with post commenters to cultivating deeper engagement beyond Facebook. Salesforce integration means that such deeper engagement can be tracked and managed as new leads, improving your funnel from Facebook supporter to active donor. If you have an active social media strategy you likely use Hootsuite. Connecting this tool with Salesforce enables your communications team, from the Hootsuite dashboard, to leverage your Hootsuite social media data to inform new lead tracking, to create new cases based on social media conversations, and more. You may not need to look further than this offering from Salesforce itself. You can do everything from automating social media posts to targeting unique audiences (essential if one of your challenges is “selling your cause”), track analytics, and more. Let’s talk about money again. Salesforce Nonprofit Starter Pack has its own compelling grant management capabilities. Because beyond donor management, nonprofits invest a significant amount of time and money in the grant cycle. The following helps augment these existing capacities. This tool does a lot. One of its most useful features allows you to create and manage gifts and all giving types (online, offline, planned giving, etc), including grants. You can view your full portfolio of constituent giving in one place, informing strategies for future funding and relationship management. You’re using Salesforce and a number of integrations already, so you have a lot of data to work with. How can you and your constituents work with and share those data? The following tools offer efficiency solutions to the challenge of finding ways to sell a cause or pursue certain types of funding. Speed up data-driven decisions and improve information flow by scheduling reports to automatically be sent to anyone within or outside your organization, either inline as an email or as an attached document. Another fairly comprehensive integration package, this offers data management tools across a variety of functions. Notably, you can visualize data quickly and impactfully as you generate reports for your next fundraising round or new newsletter. Adopting Salesforce tools to improve the effectiveness of your nonprofit organization is a powerful step towards manifesting greater impact for your cause. Understanding that you likely have existing tools and that Salesforce may not have an all-encompassing offering, you can also catalyze greater returns from the ocean of integration options available. Using these tools in connection with Salesforce give you and your team capacity to take on the greatest challenges faced by nonprofits, from finding the right money to spreading the word about your cause. With appropriate adoption and consistent implementation, you can empower employees to perform better, and ultimately serve your communities, from donors to beneficiaries, more effectively.